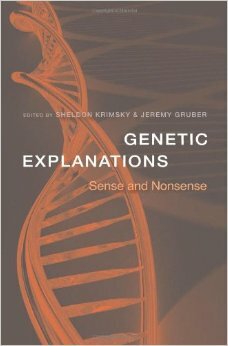 Genetic Explanations: Sense and Nonsense, edited by Sheldon Krimsky & Jeremy Gruber. 2013, Cambridge, MA: Harvard University Press. A lot of the scientists researching epigenetics are also actively advocating for greater social responsibility in the application of genetic science to technology. This includes the editors of this volume, as well as several of the contributors. Our knowledge of genetics generally starts when we hear the story of the 19th century Austrian friar, Gregor Mendel, and his peas. Mendel gave us the notion of alleles, two copies of a gene, one on each chromosome of a chromosome pair. 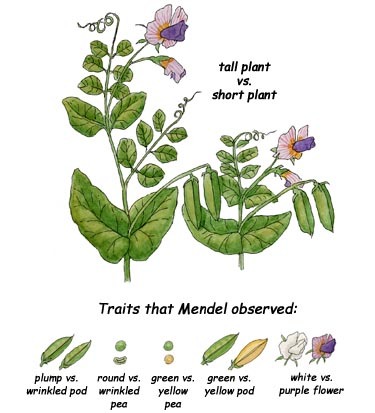 The different alleles produce different versions of a trait (smooth seeds/wrinkled seeds, tall plant/short plant). One or the other or both of the alleles for a particular gene can be dominant or recessive. This gives rise to simple four chambered matrices that can show us the probability of a child having one or the other of the trait, if we know the alleles possessed by each parent. Mendel’s genetics was combined with Darwin’s natural selection to give the neo-Darwinian synthesis, which was was honed in the 1960’s, and engraved in stone for all posterity. This version of things led to an outpouring of speculative genetic explanations involving a gene for this or a gene for that, and scientists avidly searched for genes controlling particular diseases, mental conditions, or personality variables, such as shyness, aggression, and depression. The data was there, but it generally did not mean what it was portrayed to mean in the popular media. Along came the human genome project. Scientists have started to realize that things are a lot more complicated than they had previously appeared. Even with all the new data and computer technology, there hasn’t been much success in locating the gene for this or the gene for that. Some researchers have been talking about the “hidden genes.” What this book suggests is that perhaps researchers have been asking the wrong question. Changes in perspective and a new body of theory characterized as epigenetics and evo-devo offer the promise of a new way of investigating inheritance and evolution. Genes are part of genetic systems; genetic systems control biological systems, and traits and features, function and form, come about only as a result of developmental processes. But the neo-Darwinian synthesis is entrenched. Academics and researchers abundantly rise to defend the version of natural selection that is taught in our schools. This book includes some history and some explanation of what is happening in the realm of genetic explanation, and what some of it means. The chapter on autism by Martha R. Herbert is illustrative. She describes how we are coming to realize that there is not a gene for autism. Autism, it turns out is a complicated set of similar conditions involving, genetics, prenatal influences, environmental influences, and individual developmental history. There is no “cause” for autism, it apparently emerges from a complex web of interacting factors. A chapter by Jonathan Beckwith has an illuminating title, “The Persistent Influence of Failed Scientific Ideas.” Beckwith gives such examples of failed attempts at genetic explanation as the relationship between the XYY chromosome condition and crime, MAOA and crime (monamine oxidase A, which has also been implicated as a suspect in other problems), as well as the ever popular boys versus girls and mathematical ability story. “The examples presented here follow a fairly common pattern. Scientists carry out a research project producing results, conclusions, and speculations that appear relevant to questions of social importance. The authors submit a paper for publication on the work that includes speculations going substantially beyond their evidence, a reasonable practice in scientific publications. However, in these particular cases the science is weak or faulty, and the ideas presented may be used by others in socially harmful ways.” p. 183. “Very obviously, genetic astrology is in trouble–the complex relations between phenotype and genotype during development mean that the inheritance of phenotypic differences is often an attribute of differences between gene networks rather than differences in single genes. Moreover, there is more to heredity than the transmission of variation in the sequence of DNA. Hereditary variations are also the outcomes of our own experiences (beginning in the womb) and the epigenetic history of our ancestors, stemming from their past experiences and their past lifestyles.” p. 80. Epigenetics is involved not only in inheritance, but also in evolution. The mechanisms of epigenetics involve some advanced biology and are only touched on in this volume. 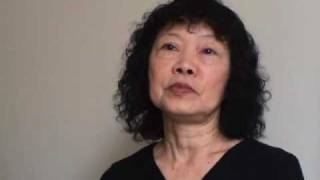 Mae-Wan Ho gives a nice introduction to the topic in her chapter, “Nurturing Nature: How Parental Care Changes Genes.” Ho was a pioneer in this field. She coauthored with P.T. 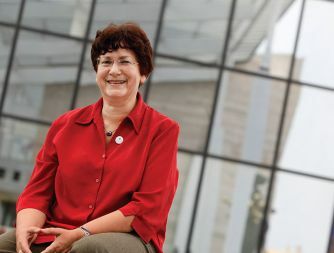 Saunders, in 1979, the article “Beyond Neo-Darwinism–An Epigenetic Approach to Evolution.” Today she is more widely known as an activist, arguing for social responsibility and controls on genetic engineering. Many of her public appearance appear on YouTube. “For as long as anyone can remember, people have been debating whether it is our genetic makeup or the environment that determines who we are. New research findings on how maternal care has a lasting influence on her offspring’s behavior that persists for generations are telling us that this is definitely not the right question to ask. The epigenetic interplay between genes and the environment puts the ball right back into our court. The question we should be asking is perhaps this: how can we give everyone the best opportunity in life?” p. 260. This entry was posted in Humanity and tagged Epigenetics, Eva Jablonka, Evo-Devo, Genetic Explanations, Mae-Wan Ho. Bookmark the permalink.